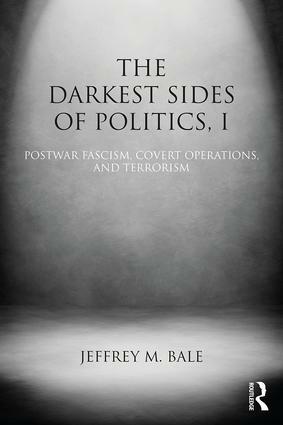 This book examines a wide array of phenomena that arguably constitute the most noxious, extreme, terrifying, murderous, secretive, authoritarian, and/or anti-democratic aspects of national and international politics. Scholars should not ignore these "dark sides" of politics, however unpleasant they may be, since they influence the world in a multitude of harmful ways. The first volume in this two-volume collection focuses on the history of underground neo-fascist networks in the post-World War II era; neo-fascist paramilitary and terrorist groups operating in Europe and Latin America in the 1960s and 1970s; and the manipulation of those and other terrorist organizations by the security forces of various states, both authoritarian and democratic. A range of global case studies are included, all of which focus on the lesser known activities of certain secular extremist milieus. This collection should prove to be essential reading for students and researchers interested in understanding seemingly arcane but nonetheless important dimensions of recent historical and contemporary politics.